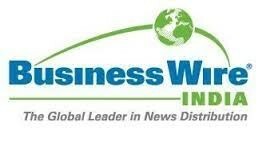 MUMBAI – April 4, 2019: India’s leading business conglomerate, US$ 13 billion JSW Group today announced its formal foray into India’s fast growing furniture market with the launch of its brand, Forma. This business foray is part of JSW Group’s diversification into consumer facing businesses. 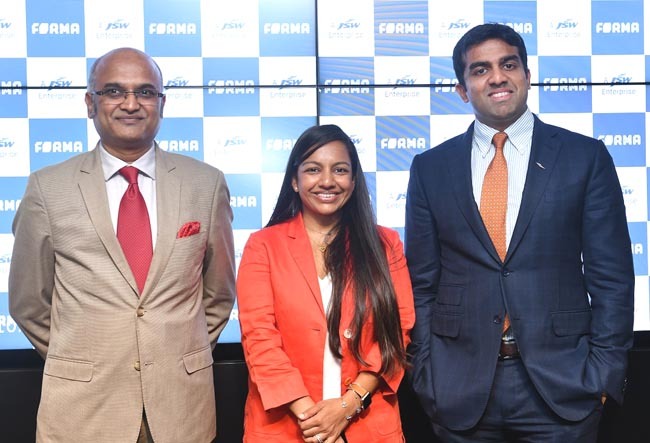 The launch of Forma enables the infrastructure conglomerate to capitalize on the immense growth potential of India’s furniture market which has been recording CAGR of 11% in last 5 years. Forma is launched as a brand of JSW Living Pvt Ltd. The company will be present across the value chain of furniture, furnishings and daily living objects that impact the Indian consumer’s life. There is strong focus on sustainability and durability, to deliver good design to a larger number of users. Forma has developed a relevant product portfolio for the Indian consumer based on extensive market research. The furniture market in India is estimated to be approximately US$ 19 billion and growing at a CAGR of 11% over last 5 years. The organized sector which accounts for around 16% of the entire furniture market is extremely fragmented with over 50 key players. JSW is targeting Forma to be among the top 5 furniture brands in India. JSW Group’s Forma brand aims to be a significant disruptor in the Indian furniture market with focus on sustainable material, unique product portfolio, user experience & market penetration. Sustainable material: Steel is widely recognized as an eco-friendly material, owing to its 100% recyclability. Forma will always look at making its base material as steel for structural stability and use other recycled and/or recyclable material in addition to steel to keep sustainability at its forefront. Product portfolio: With a launch portfolio of over 30 uniquely differentiated furniture SKUs, Forma plans to scale up its total portfolio 10 folds. Forma will offer a wide variety of options to Indian consumers across the entire gamut of home furniture and accessories. User experience: Forma is focusing on the three core pillars of that defines design and user experience are based on Warmth, Intelligence, Lightness (WIL) for Indian homes. The brand has a belief that it can help shape its own charter with insights from users and grow with the growing market. There is a large market that is highly fragmented and that’s an opportunity for organized players to enter this space. Market penetration: JSW’s marketing & distribution synergies through Steel & Cement are expected to provide larger depth & scale to the Furniture business. JSW will follow a three-tier distribution strategy to reach out to furniture customers in top 100 towns of India. A healthy economy and increased household spending are expected to provide potential growth levers for the furniture business. Future plans: Forma’s entry into retail by FY23 through exclusive retails stores is expected to be the tipping point for the growth of JSW Group’s furniture business. The retail expansion of Forma will be supported by expansion of the product portfolio to include living room, bed room & dining products along with accessories. JSW is targeting 50 exclusive Forma outlets in next few years. ABOUT FORMA: Forma, a new age furniture brand, intends to impact the Indian users’ lives with accessible designs in Furniture and accessories. Forma carries the values of JSW Group of integrity and proven legacy of delivering quality products. The new enterprise that seeks to inspire urban living with accessible design, backed by quality manufacturing and delivery. Offerings of the brand will be in furniture and accessories for homes.